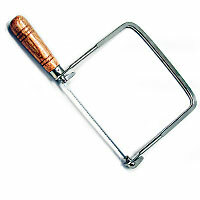 Coping Saw Blades are 6-1/2in. long between pins to fit all standard frames. For precise sawing of wood, plastic, copper and other soft metals. Made from the finest hardened and tempered spring or high carbon steel with precision punched or milled teeth for accurate sawing, smooth finishes and long life. Flat wire frame for tensioning standard pin end coping saw blades. Precise cuts in wood, plastic and metal. 12″ overall length. 6-1/4″ depth of cut. Blades can be turned 360º to saw in any direction. Comes with 6-1/2″ long, 15 TPI blade. 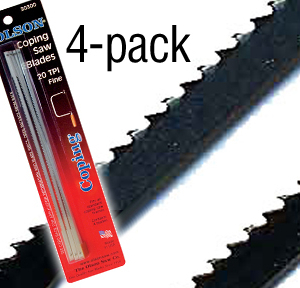 4-packs and Assortment Pack Coping Saw Blades 6-1/2in. long between pins to fit all standard frames. For precise sawing of wood, plastic, copper and other soft metals. Made from the finest hardened and tempered spring or high carbon steel with precision punched or milled teeth for accurate sawing, smooth finishes and long life. 12 per pack Coping Saw Blades 6-1/2in. long between pins to fit all standard frames. For precise sawing of wood, plastic, copper and other soft metals. Made from the finest hardened and tempered spring or high carbon steel with precision punched or milled teeth for accurate sawing, smooth finishes and long life. 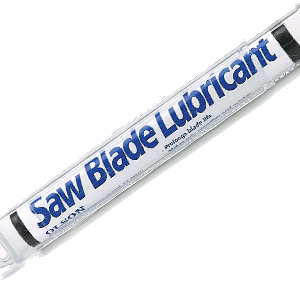 Bulk packaged 144 same sku blades per pack. 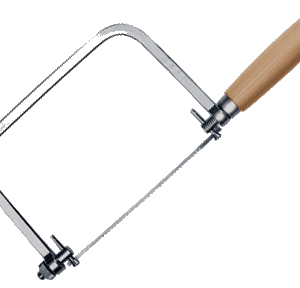 Coping Saw Blades are 6-1/2in. long between pins to fit all standard frames. For precise sawing of wood, plastic, copper and other soft metals. Made from the finest hardened and tempered spring or high carbon steel with precision punched or milled teeth for accurate sawing, smooth finishes and long life. 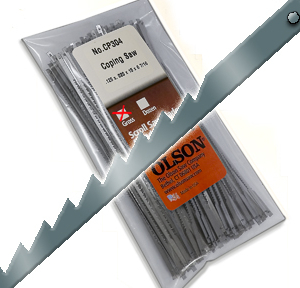 CP307GR for cutting metal is $119.50 per 144-pack. All other bulk packs are $53.46. 8″ long x 1″ diameter. Prolongs blade life and produces smoother and quicker cuts. Specially compounded to keep metal, plastic, and wood cutting blades from clogging with wood chips or pitch. Use on all power and hand held cutting tools including band, scroll, circular, hack and jewelers saw blades. 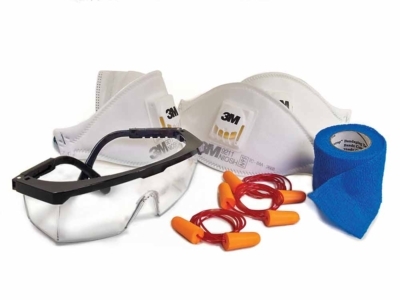 View or download SDS/MSDS sheet on this product.